And so, Gamelab has begun. 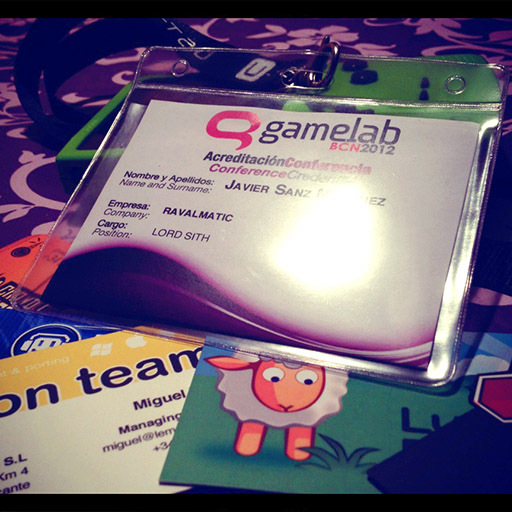 The biggest and most important videogame event hold in Barcelona opened its doors today at Catalunya Plaza Hotel. 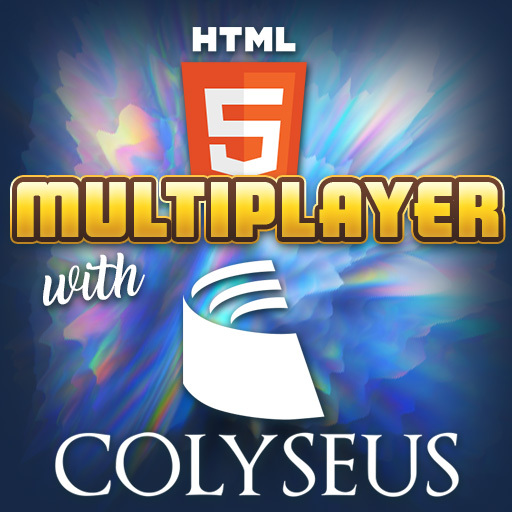 Today’s topics moved loosely around the mobile gaming issue. Let’s not even try to grasp a whole view on the day’s speeches, but instead let’s focus on the two best moments from a personal point of view. For us, a humble tiny studio, those conferences about expanding to asian markets, or stretching the brand until you get profit of plush toys, were kind of celestial voices whispering about their fairytale world. But at lunchtime, the bunch of guys who struggle day by day just like us, (Lucera Project, Lemon Team, No2, IDS and with some more ease Ludei) were singing a different tune. A song about plain survival, perseverance, environmental adaptation and “old coder tricks”. It’s been a nice time spent among these buddies and the feeling of being rowing in the same boat is quite strong. 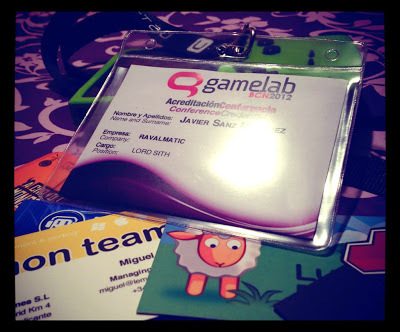 After that, the ever caustic and witty Daniel Sánchez-Crespo has shared his worthy point of view on game monetization. He was supposed to talk about Vita, but instead he showed his concerns about the players loosing the perception of game value itself. When selling games at 0.99$ we are putting ourselves in a point where it’s almost impossible to make a living out of them. 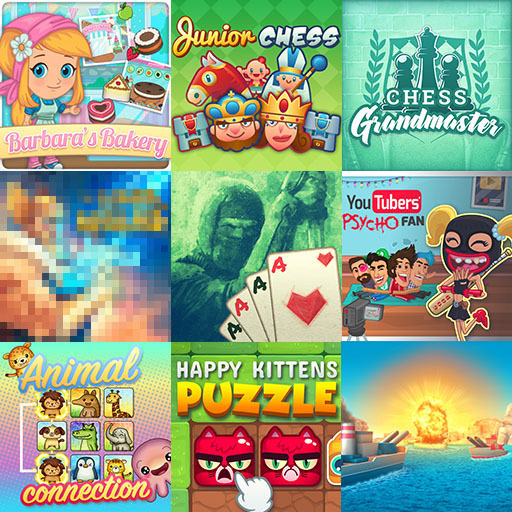 The Appstore is overcrowded with daily releases, and making those games profitable means to invest the less time possible on them. In the end is a rat race with no way out where the victims are our own wallets and the games’ honor in general. On the other hand, as Dani exposed, there are some hopeful horizons in freemium, downloadable contents (DLC), subscriptions and the typical retail market from the console environment. The question is… now that the mobile (iOs) users are used to pay cheap prices and they have a distorted view on the game value, is there a way back that allows the studios to quit from working for peanuts? Is the games respectability too eroded by all the mediocre stuff gathered together in the Appstore during this time? And most important, should I go back to my father with a gloomy gaze and tell him –You were right. Living from selling games at 99 cents was naive and I’ve been a fool for believing that.– ? Sí, tenim la ofi al Raval. Si vols pots escriure'm a info@ravalmatic a veure si algún dia podem quedar per xerrar. 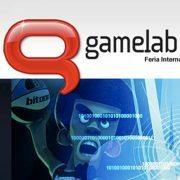 Hola, al final no vam poder anar el dissabte al Gamelab.